Please use the space below to let us know what you need to have done. We'll e-mail you and/or telephone regarding your appointment. Month: January February March April May June July August September October November December Day: 1 2 3 4 5 6 7 8 9 10 11 12 13 14 15 16 17 18 19 20 21 22 23 24 25 26 27 28 29 30 31 Time: 8 a.m. 9 a..m. 10 a.m. 11 a.m. 12 p.m. 1 p.m. 2 p.m. 3 p.m. 4 p.m. 5 p.m. Which dentist would you like the appointment with? 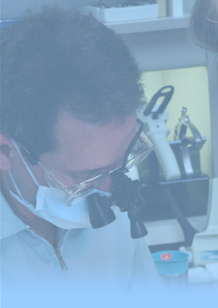 Most dentists in Los Algodones require payment in cash at the time of service, or in the case of making a prosthesis, 50% of the estimated cost is required in advance. Dental appointments in Los Algodones are 70% to 75% less than in the U.S. If you would like a price estimate for the dental work you need, please check this box. A deposit is required at the dental office once the dental work is started. Transport you from the Yuma airport if you are flying. Provide a map right to your dentists door.